VOSS, NORWAY (March 7) Powerhouse Hannah Kearney (Norwich, Vt.) executed near-perfect runs to earn her second career World Championship title at the 2013 Voss FIS Freestyle World Ski Championships. In front of a crowd of thousands, Kearney stayed atop the leader board through each round with the fastest times, cleanest turns and biggest air. "In this sport you have to be on top of your game all the time or your career isn’t going to be successful," she said. "There are always new athletes coming up the line and new tricks to perfect; it’s a constant game, and it’s a pressure that I put on myself." 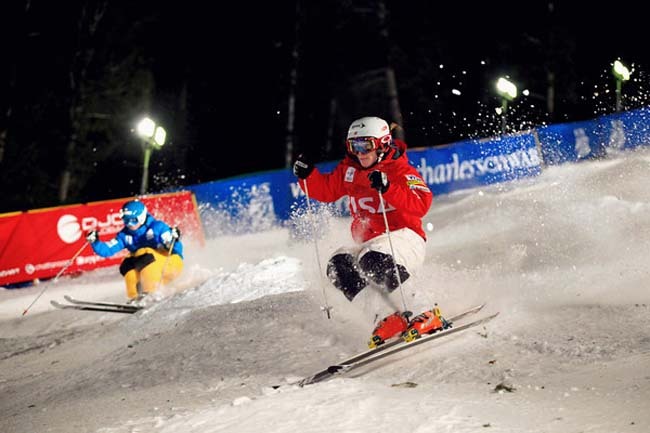 Park City resident Heather McPhie finished in fourth place in the women’s competition. In the men’s moguls competition, Mikael Kingsbury of Canada took the men’s gold. Patrick Deneen (Cle Elum, Wash.) of the U.S. Ski Team, the 2009 world champion, earned bronze.